Real Madrid are increasingly confident of signing Eden Hazard this summer, Sky Sports News understands. Chelsea boss Maurizio Sarri wants to sign Mateo Kovacic on a permanent deal from Real Madrid. The Croatia midfielder is on a season-long loan from the Spanish giants and Sarri believes he is getting in tune with the way he wants the game to be played. Sarri has been questioned for opting to play Jorginho and Kovavic deeper in midfield than the more naturally-defensive N'Golo Kante, who has played a more attacking role, this season. 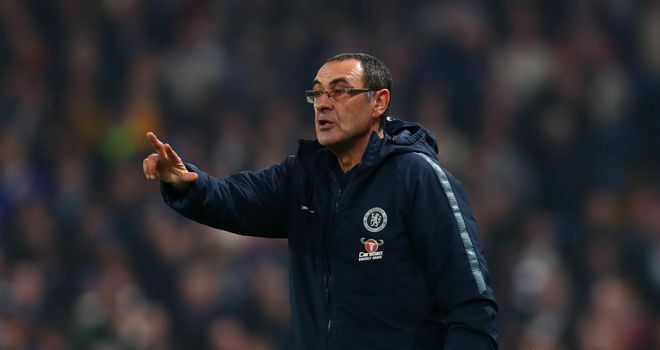 But when asked whether he wanted to enter the market for another midfielder summer, as Chelsea attempt to overturn a two-window transfer ban when their appeal is heard by FIFA this Thursday, Sarri said: "No, I want to try with Kovacic. Maurizio Sarri has played Jorginho and Kovavic in deeper midfield roles than N'Golo Kante this season. "He is only on loan, of course, but I'd like very much that Kovacic will stay with us. You know very well that, in that position, we have some problems because we have only Jorginho. "In the last match, Jorginho touched 161 balls. So, for us, it's very important for us to have big quality in that position. Big quality not for the last pass, but big quality in terms of moving the ball." Newcastle United boss Rafa Benitez reveals his emotions with injured Miguel Almiron set to miss the rest of the season.